Indisputable the number one event in Düsseldorf is the carnival. 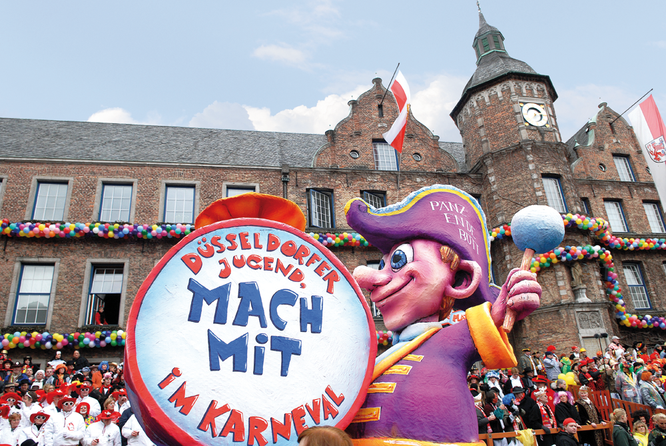 The Shrove Monday procession is surely the most beautiful in Germany because of the constistent design of the carnival floats. One of the biggest carnival societies is the gay-lesbian „KG Regenbogen“ („rainbow society“). The queer highlight is the Tuntenlauf („nancies run“), when dragqueens with high heels sprint on a catwalk. Düsseldorf is „Japan's capitol in Germany“. 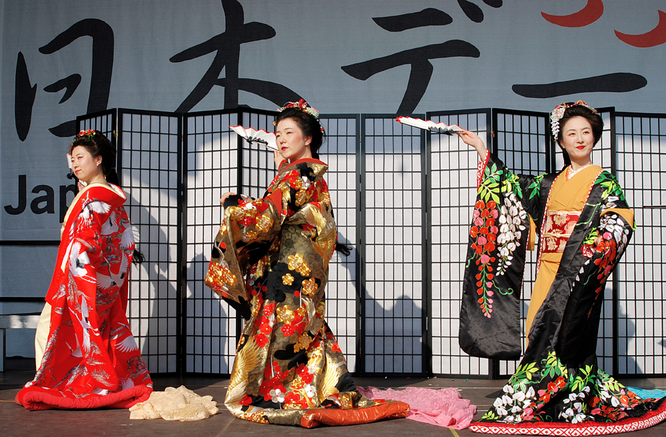 The Japanese community is one of the biggest in Europe. Company domiciles, Japanese shops and restaurants characterize parts of the city. The greatest fireworks of the year marks the Japan's Day in spring. 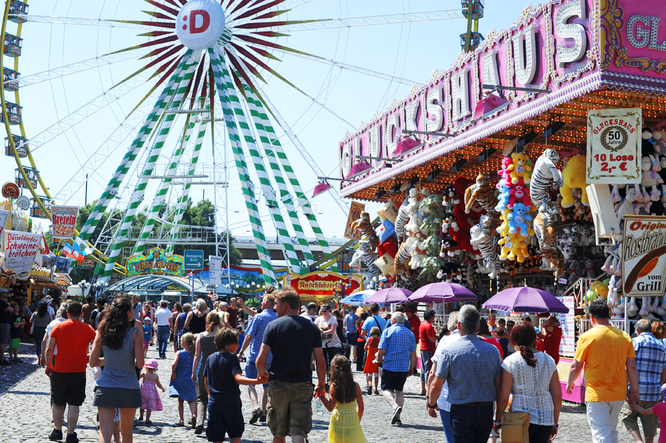 In July one of the biggest fairs in Germany happens on the meadows at the riverside in Oberkassel (towards the old town): the Rhine funfair with more than 300 showmen and roundabouts and several millions of visitors. On „Pink Monday“ many hundreds of gays and lesbians join at the party tent „Schwarzwald Christel“. 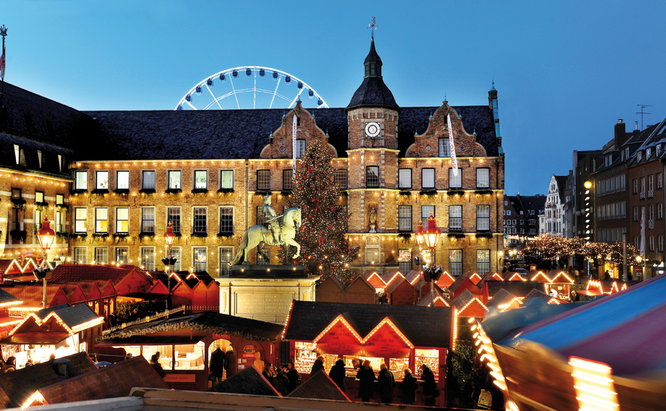 Pre-Christmas season in Düsseldorf is famous for its Christmas markets with more than 200 pretty decorated shacks. Especially the market on Rathausplatz with the equestrian statue of Jan Wellem has a festive vibe. Newly the queer community joins the market on the Schadowplatz to celebrate a Christmas version of „Pink Monday“.